Honda Civic may come with 1.6 l iDTEC engine! If any of the car maker that has taken a lead to save the earth it seems to be Honda. With its Earth Dreams technology Honda will be bringing in new more powerful yet frugal engines for its cars. As per the latest update, Honda will be bringing the said technology based 2.4 L iVTEC petrol engine and 1.6 L iDTEC diesel engine to Honda Accord and new Honda Civic sedans respectively. With such engine under the bonnet expect the Accord and Civic to lead the class in terms of fuel economy. 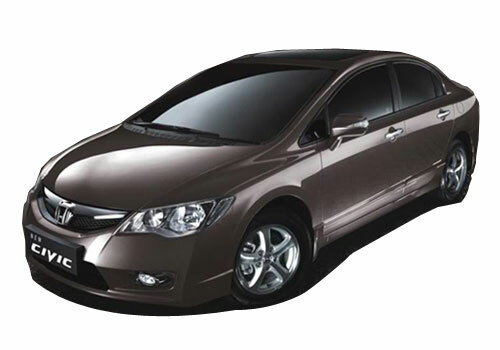 Honda’s Earth Dream technology is all about taming the technology to get the most efficient results from the engines. The newer technology is put to use by Honda to get the most from the engines in terms of power and efficiency besides every effort is put to practice keeping in view that the tailpipe emissions are kept to the bare minimum. These engines will be the engine of the future and Honda is well known for its engine technology. The Earth Dream technology is building 660cc, 1.3-1.5L, 1.8-2.0 L, 2.4L and 3.5L engines that will be used in an array of Honda cars. The proposed 1.6L iDTEC diesel engine developed with Earth Dreams technology in place is a common rail turbo engine and it outputs 300 Nm torque. The emissions are low to the lowest extent possible and the engine emits only 95 gm/km CO2. The full details are yet to be revealed by the Japanese car maker but the engine will be able to transform and help Honda Civic to compete with other segment players by giving it necessary fuel efficiency and power. Notably, the Honda cars in India are all petrol powered and with the entry of Honda Civic diesel, it seems that no one will then be able to stop it from becoming the best selling premium sedan in India.